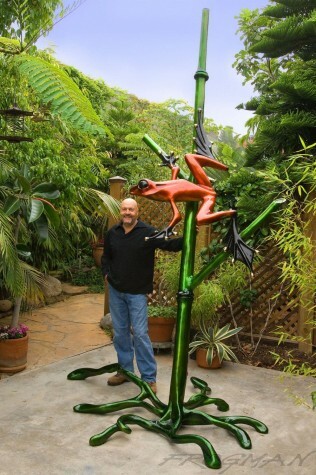 Bamboo Monumental Frogman Bronze Sculpture. Simply the ultimate piece for a Frogman Collector. Bamboo Monumental is a stunning 144 x 80 x 68". An incredible centrepiece for a garden, only 9 available worldwide. 144 x 80 x 68"